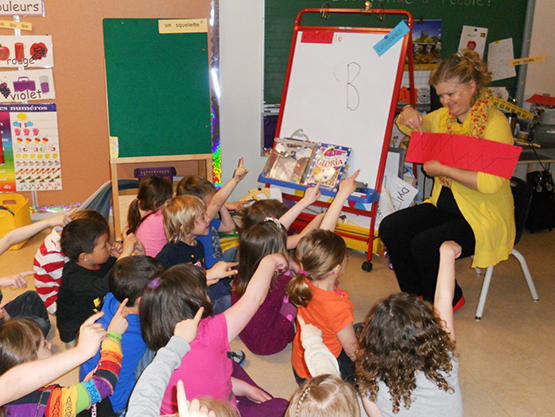 Guest blogger Sara Pitt teaches French Immersion Kindergarten at George Pringle Elementary in West Kelowna, BC. She has been involved in arts integration over her 17-year teaching career and is excited to be developing her own such projects, as well as being recently involved with ArtStarts and working with artist Paula Scott as part of the Infusion Cohort program. Sara will be sharing some of the arts integration projects that she has been involved in. 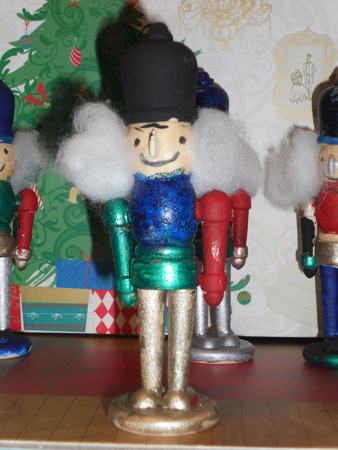 The following project is one I have been developing myself over the last six years surrounding the Nutcracker (or should I say, "Casse Noisette"!). 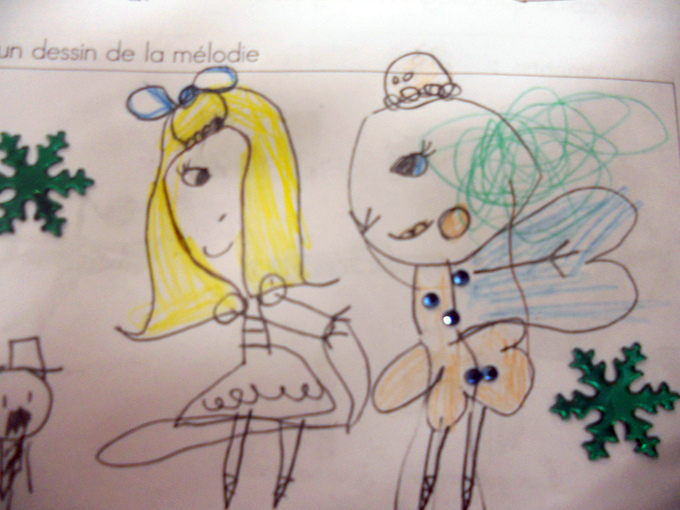 This is a project focused around a classical musical story that infuses the development of skills in music, PE, drama, fine arts (sketching, line drawing, 3D, use of paint), French speaking and listening, reading and the early stages of writing. and finally, movement work with their bodies to show changes in music tempo, mood and instruments. The Suite was also a favourite for term 1 "quiet times". 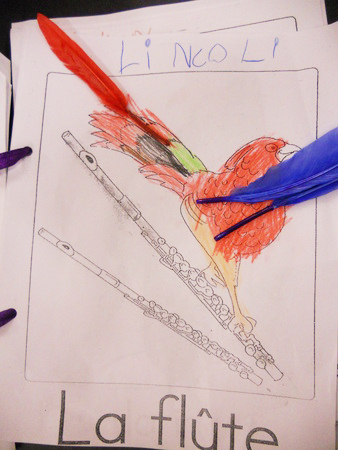 By the end of this project, students were able to "sing" a musical pattern on sight, draw one of their own from memory, explain where the music is "high" or "low", name many of the "parts" of the story from the music playing, and name many of the instruments. 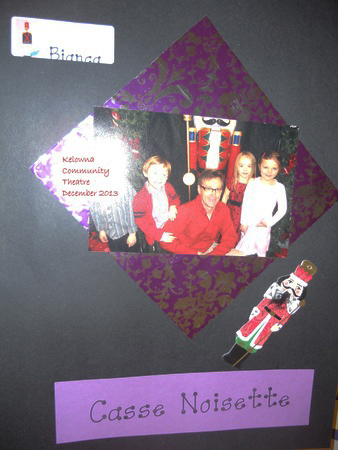 All of this was accomplished with an increasing ability to express themselves "en français"! They are so talented! 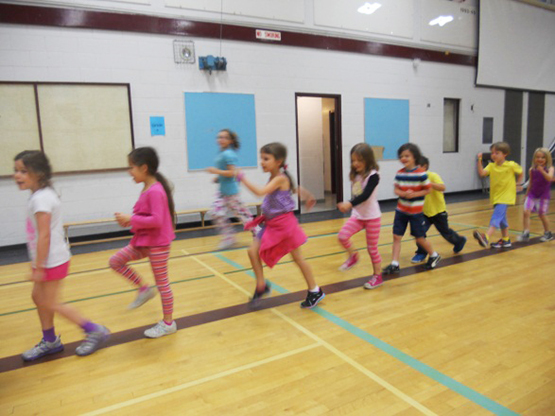 Students interpreting the music in the 'March' in a gym class. Marching when they hear the trumpet part — the first part of pattern in the students' work. 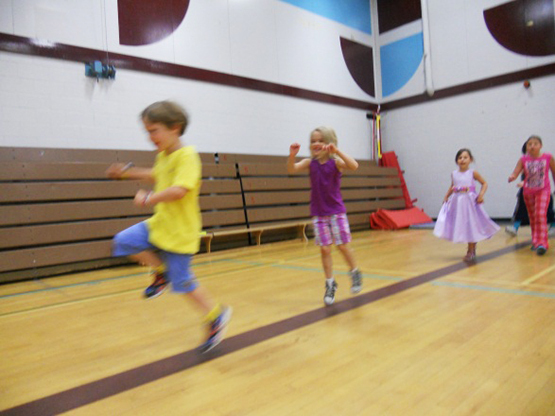 Skipping when they hear the violin part — the second part of the pattern in the student's work. 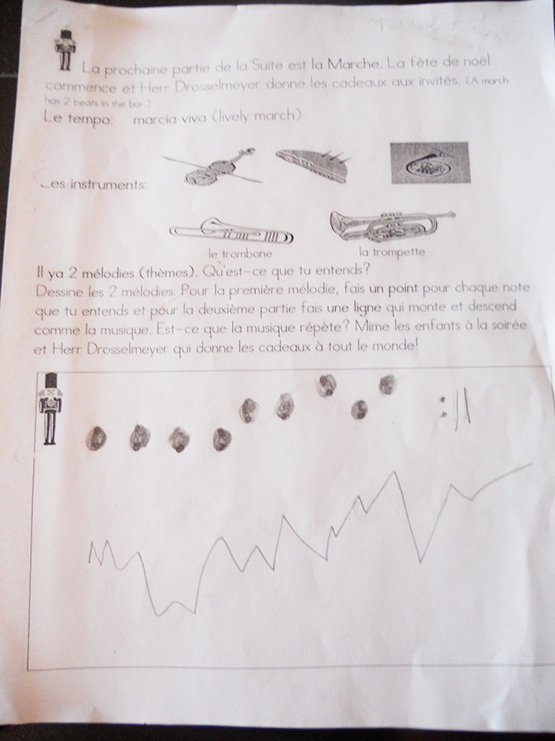 Identifying the sounds and learning the vocabulary related to each instrument. Students learn instrument and musical vocabulary from the onset, and use it when expressing musical elements. Students build on vocabulary of characters, setting, beginning, middle and end which they then use throughout school year for higher level work. Watching and appreciating a live performance is the culmination of all the projects. Students understand the plot and melodies while they sit through a full length ballet performance. 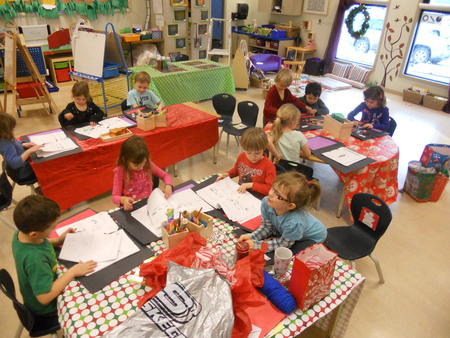 Students use drawing as a way to interpret music, using previous directed drawing and template methods, as well as own sketching. 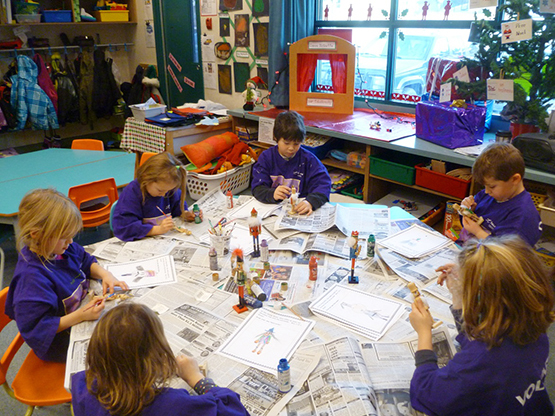 Students use collage to show animals and instruments authentically and use acrylic and mixed media to paint wooden nutcrackers. 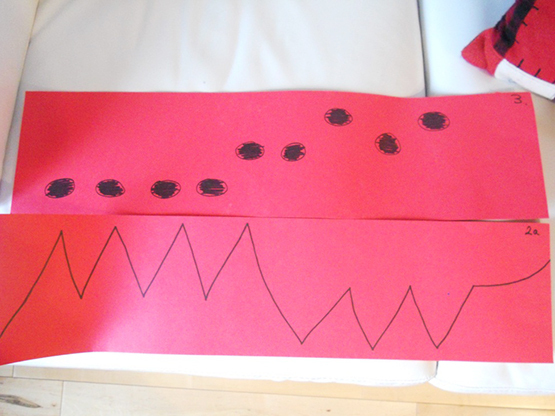 "Draw a picture of the story as the music is playing." 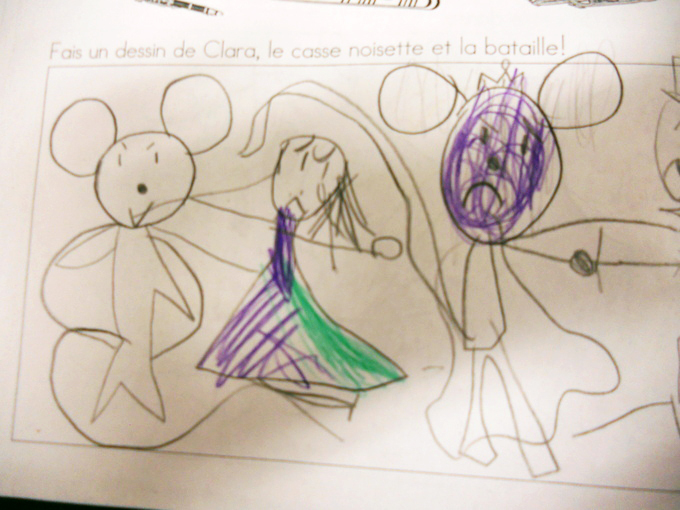 "Draw a picture of Clara, the nutcracker and the battle." 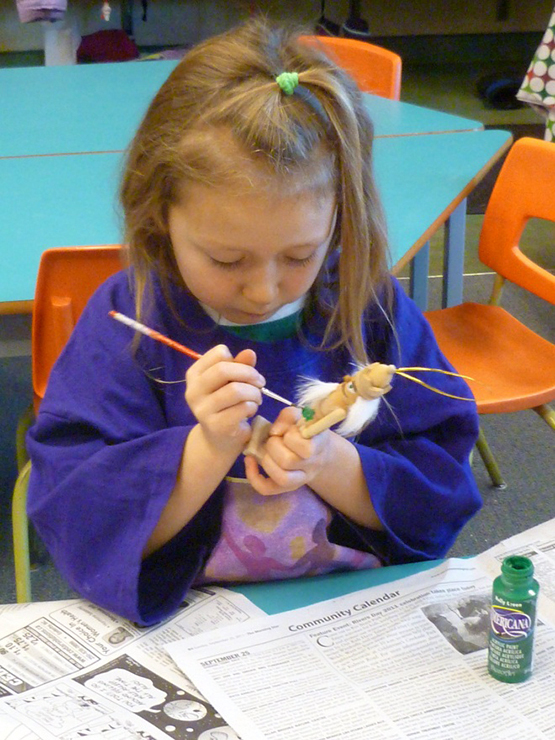 Students use their plan to paint individual wooden nutcrackers. 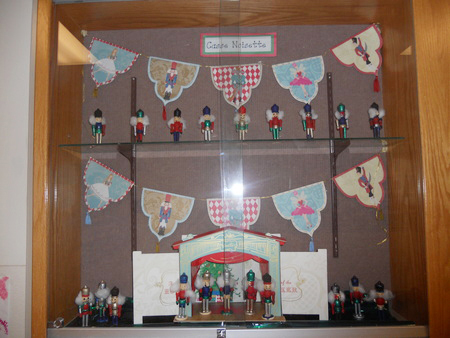 And… finally, the students' work is up in the school foyer for all to see! 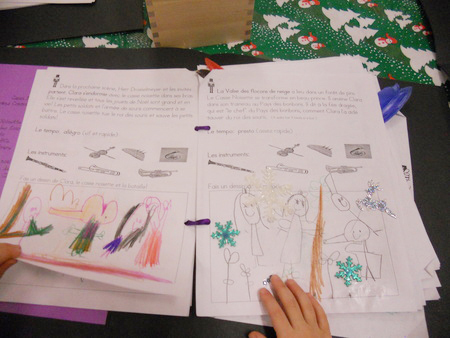 All written project work is then put into a special book, along with a photo of the theatre trip, to take home to show parents. Here is a photo of students looking back at all their hard work.